Rare opportunity to one 1 of only 7 privately held Commercial spaces on Schweitzer Mountain Ski Resort. The locker room consists of 26 rentable space, 4 of which are oversized lockers, Hydronic in floor heating on its own zone, Granite counter/bar, and plenty of space to warm up and relax after a day on the slopes. Fantastic, lucrative business opportunity with the demand for locker space far exceeding supply. 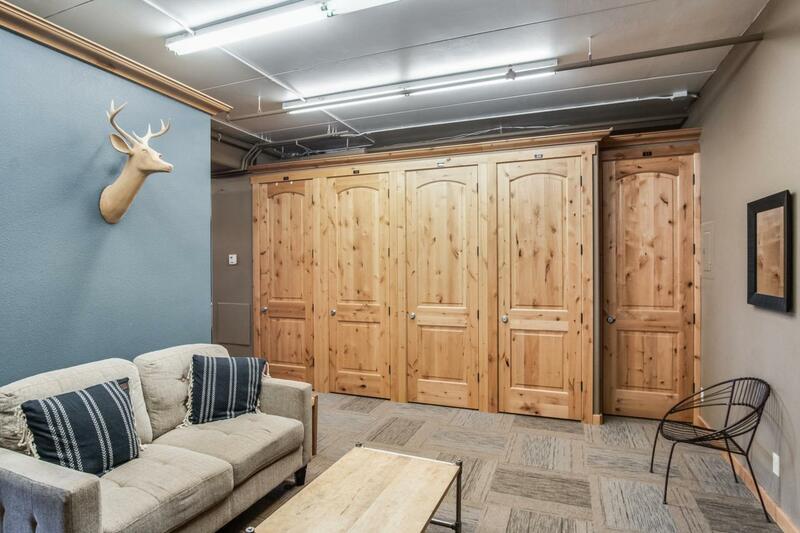 This 900 sqft unit is zoned as Alpine Village and could easily be sound proofed and converted into a ski in, ski out condo. Comes with 1 assigned parking space in an enclosed, heated garage. HOA fee includes gas, all common area maintenance, elevator maintenance, custodial and snow removal. Don't miss this great opportunity!